March has been quite an up and down month in our school days experience. A bit like the weather, up and down. Here’s the highlights and news from what we’ve been up to approaching the end of term. N had a bit of a confidence crisis this month, saying his maths was terrible. And he couldn’t do times tables challenge grids anymore. It’s strange because they don’t get set times tables to learn like we did (or like they do each week for spellings). They just learn them gradually, and learn them via challenge grids which they build up faster until they can (hopefully in N’s eyes) beat the teacher in completing them. 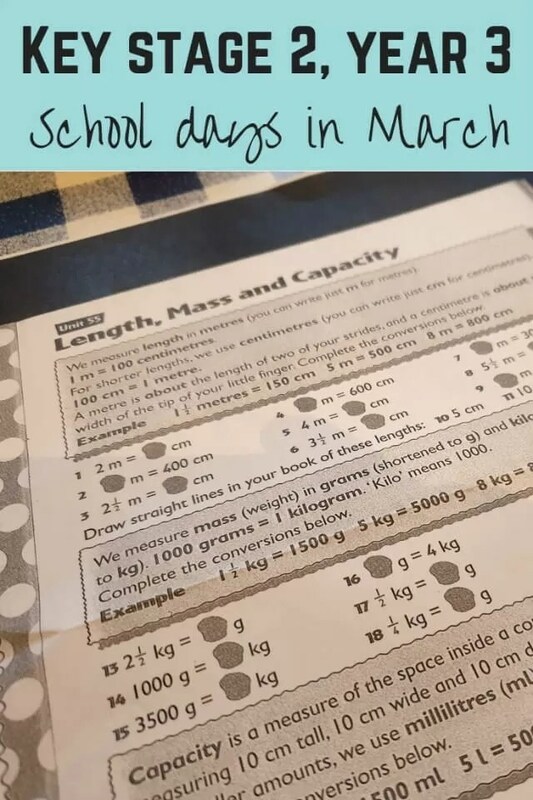 They’ve started getting the grids as homework again occasionally, and doing them in school. N always has a stash of half to fully completed ones in his book folder, and he seems more happy again with his maths. Phew, as that’s always been ‘his’ subject. They’ve also been given logins for Mathletics and Times Table Rockstars. So he’s been on the laptop a bit and had a go at those. He’s more keen on the times table one, but it’s good to know he’s got that resource if he wants it. One of the good things about having a small school is that when they do inter school tournaments or workshops, often the whole year group can go. For the dodgeball tournament they had a group taken, and N was one of the kids who got to go. He plays a bit of dodgeball at multi-sports club – it sounds lethal to me. He really enjoyed it and he took great delight in telling me about the cheating from one of his out of school friend’s school team. And how different people in his team had different skills they could use. I’ve not had many calls about injuries at school for a few year’s now. N managed to get just above his eye brow bumped with someone opening the door into him on the other side. Evidently there were calls to me at work and on my mobile but I didn’t get any calls come through, so the OH was called to let him know. N was fine, it didn’t even bruise. He was more annoyed that he had to miss hockey in PE lesson because he was getting his bump checked out. We did a couple of hours helping out at the PTA car wash. N was straight in there on the drying and polish station, while I took money on the gate, then stood in wherever was needed. It was good fun, but even only doing an hour of physical work, my arms ached the next day. I felt for those who were there for the whole 4 hours. It seems that there’s been a lot of children not listening to the swimming coaches. They swim at the same private school N has his out of school lessons at. N’s always been pretty good at listening and his teacher will tell off those who don’t listen. So it’s not surprising there were kids told to get out of the pool from one of the other groups. N said here was also problems on the bus with kids getting up too quickly to get off. I was pleased to hear that he kept himself to himself and out of the chatting group. Unfortunately they missed out on fun swim at the end of term, presumably because of the disruptive chatting and not listening that had been going on the previous week. N was disappointed that they all missed out given not all of them weren’t doing anything wrong, but he did get his fun swim at his Saturday lesson anyway. N’s loved doing his Romans topic this term. They do all subjects within their topics, so they’ve done roman numerals, history, geography and literacy. Helped by Horrible Histories, both the TV show and the books, it’s really brought on his interest in history. What’s been going on with school for your children?